How do all of these surnames relate? 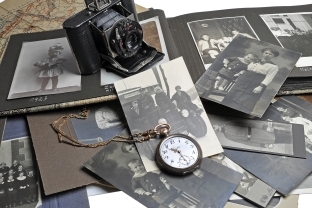 Go to our 6 generation ancestry chart and find out! Did our TRACY ancestry really come from Ireland? Don't be so sure... I recently received an e-mail with sources and documentation that our TRACY's came from England! Recipes to Share with Our Family and the World - Send yours in now and include any family stories behind it! "Do You Know... Who My Daddy Is???" - Abraham Custer -- Abraham was born in 1764 in Cumberland County, PA; He married Susannah Long and in 1820 they lived in Stonycreek Township of Pennsylvannia; Abraham died in 1834 in Quemahoning Township, Somerset County, PA. We have a hand-written family tree that states his father as John Custer, Sr. (1745-1812) that was hand drawn on 08-10-1966 by E. Ben Custer (b:1902), a descendant of Frederick Custer (1773-1846). However, the Castor Association of America has documents that show Abraham's father is John Phillip CUSTER b: 1731 in PA d: 13 Jul 1812 in Conemaugh Township, Somerset County, PA. E-mail your theory, verification, thoughts, beliefs, etc. Is our SMALL family connected to the MURRAY Clan as one of the Septs of that Clan? Let me know if you know the connection or have verification. Why Jordon's middle name is Maria? Why am I an Oakland Raiders fan? What one wears under a kilt? Could you pass a Scottish sobriety test?